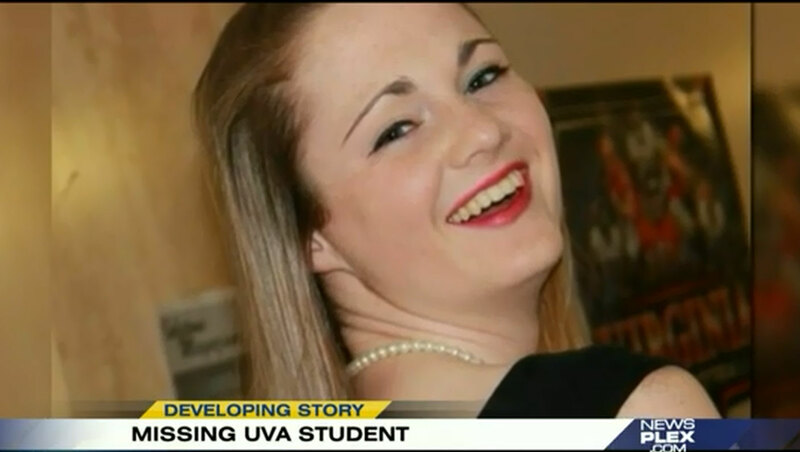 CHARLOTTESVILLE, Va. - A man believed to be the last person seen with a University of Virginia student before she disappeared was being sought on arrest warrants charging him with reckless driving, a police chief said Sunday, adding authorities also want to ask him about the missing teen. Virginia State Police have issued warrants for Jesse Matthew on a charge of misdemeanor reckless driving, Charlottesville Police Chief Timothy Longo said at a news conference Sunday. Matthew has not been charged in the disappearance of 18-year-old Hannah Graham, who was last seen early on Sept. 13 in Charlottesville. Longo said police want to talk to Matthew, who was seen with Graham before she disappeared. "I believe Jesse Matthew was the last person she was seen with before she vanished off the face of the Earth because it's been a week and we can't find her," Longo said. "I've made no mistake about it. We want to talk to Jesse Matthew. We want to talk to him. We want to talk to him about his interaction with this sweet, young girl we can't find," Longo said. Longo said Matthew had stopped by the Charlottesville Police Department's station on Saturday with several family members and asked for a lawyer. He was provided with a lawyer but left in a vehicle, driving at a high rate of speed that endangered other drivers, according to the police chief. He said Matthew was there for about an hour. Virginia State Police spokeswoman said in an email late Sunday that State Police officers were conducing "surveillance" of the vehicle at the time but didn't pursue Matthew. Police said they have focused on Graham's movements the night of Sept. 12 and into the early morning hours of Sept. 13. Graham, a sophomore from northern Virginia, met friends at a restaurant for dinner, stopped by two parties at off-campus housing units and left the second party alone, police have said. Surveillance videos showed her walking, and at some points running, past a pub and a service station and then onto the Downtown Mall, a seven-block pedestrian strip lined with shops and restaurants. "Somebody's gotta know where she is and we want to know who that person or persons are," Longo said. "I don't want to get tunnel vision just because we have a name, just because we saw her with a particular person," he said. Graham's parents appeared at the news conference and her father, John Graham, appealed for anyone with any information to call a police tip line. "This is every parent's worst nightmare," John Graham said. "We need to find out what happened to Hannah and make sure it happens to no one else." More than 1,000 volunteers participated in a weekend search for Hannah Graham, according to authorities. Graham's disappearance has sent a ripple of fear through the quiet college town of Charlottesville. Students have said they've begun walking in pairs at night and are paying closer attention to their surroundings. At least three other young women have disappeared in the area in the last five years, though police have said they do not think Graham's disappearance is linked to that of any of the other missing women. The university president, Teresa A. Sullivan, issued a statement Sunday saying the university was committed to helping authorities in the search for the missing woman and "return her safely to her family." "We are cooperating fully with law enforcement authorities as they continue their investigation," the emailed statement added.